Professor Marion Demossier is a Professor of French and European Studies at the University of Southampton. 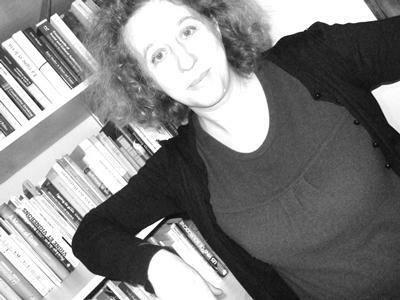 Marion Demossier is Professor of French and European Studies in Modern Languages and Linguistics at the University of Southampton. She was Head of department from 2015-2018. She has previously taught French and European politics and society since 1994 at the University of Bath. She holds a Ph.D in Social Anthropology from the EHESS (École des Hautes Etudes en Sciences Sociales) in Paris. She has published more than twenty scholarly articles in leading academic journals in Britain, France and the United-States, including the Journal of the Royal Anthropological Institute, Cultural Analysis, the Anthropological Journal of European Cultures and Modern and Contemporary France. She has also written widely for a student audience, contributing chapters to prestigious series such as A companion to the Anthropology of Europe or Culinary Taste. She has been involved as expert with the wine industry in France and New Zealand over a period of twenty years. She is regularly invited to lecture at international conferences and has appeared on both television and national radio in the UK and France to discuss issues related to her work. She is currently on the ESRC Peer Review Panel member ‘Anthropology of Europe’ since 2010- reappointed until 2019 and sits on the UNESCO Climats de Bourgogne scientific Committee member: http://www.climats-bourgogne.com/ and is a member of the UNESCO network Chair Culture of Wine, Dijon since 2006. Prize John Willis Award of ‘Best research and Best support to students’ by the University of Bath (1999). My research lies with the study of ‘culture in context’ through ethnography as the primary research method to understand better how global forces impact on specific groups and 'communities'. It aims to provide an understanding of the articulation of global concerns at local level by contributing to the debate about 'politics in places' and ‘place-making’ projects. Using multi-sited and long-term ethnography, my argument is that the ethnographic gaze offers a more nuanced and complex understanding of place, product, locality and people. My long-term project is devoted to Burgundy and the use concept of terroir as well as the ways in which regions have used heritage and culture as a tool for economic development. I have just completed a book on Burgundy and ‘terroir’ which seeks to understand the long term effects that globalisation has on people, but more specifically, to understand how communities change and shape their worlds. I am currently developing a project on Wine World Stories which aims to create a multidisciplinary debate around wine production and consumption in an era of climate change. WWS will provide an online global forum where different voices can come together in order to discuss current issues connected to today’s viticulture and winemaking. More recently, as part of my interest in French Politics and Republicanism, I am keen to start a new research on French republicanism from an ethnographic perspective through a multi-sited approach. The anthropology of politics –French and European is my second area of research and I have published extensively on the topic of belonging. Burgundy: A Global Anthropology of Place and Taste (2018, Berghahn), 330pp. Wine Drinking in France, An Anthropology of Wine Culture and Consumption in France (University of Wales Press, 2010), 224 pp. Hommes et Vins, une anthropologie du vignoble bourguignon (Editions universitaires de Dijon, 1999), 450 pp. The European Puzzle. Cultures and Identities in Europe, the political structuring of cultural identities (Berghahn, 2007), 224 pp. Recollections of France: Memories, Identities and Heritage in Contemporary France S. Blowen, M. Demossier and J. Picard (eds. ), (Berghahn, 2000), 272 pp. 'Beyond Terroir: Territorial Construction, Hegemonic Discourses and French wine culture', Journal of the Royal Anthropological Institute (2011). ‘Anthropologists and the Challenge of Modernity: Global concerns, Local responses in EU agriculture', Anthropological Journal of European Cultures, nº 20 (2011). ‘Vin’, Dictionnaire d’histoire culturelle de la France contemporaine, nº. 4 (2011), pp. 803-28. ‘Wine’ Encyclopedia of the French Atlantic, edited by Bill Marshall, Santa Barbara, ABC, Clio, (2005) pp.1219-1224. Revue des Œnologues, nº111, (April 2004), pp.49-51. ‘Reflexive Imbrications’ The Globalization of Wine: The Trans-Nationalization and Localization of Production, Leisure and Pleasure edited by David Inglis and Anna-Mari Almila, University of the Arts London (forthcoming 2016). ‘The Politics of Heritage in the Land of Food and Wine’ A Companion to Heritage Studies, edited by William Logan, Máiread Nic Craith, Ullrich Kockel. (Wiley-Blackwell Companions to Anthropology Series, 2015). ‘Sarkozy and Roma: performing securitization’ The Anthropology of Security: Perspectives from the Frontline of Policing Counter-terrorism and Border Control edited by Mark Maguire, Catarina Frois and Nils Zurawski. (London, Pluto Press, 2014). ‘Following Grands Crus: Global Markets, Transnational Histories and Wine?’Wine and Culture: From the vineyard to the glass edited by Rachel Black and Robert C. Ulin (Berg, 2013). ‘The Europeanization of Terroir: A Political Sociology of Europeans?’ Narratives of Transnational Belonging in Europe? A look at Culture, edited by Rebecca Friedman and Markus Thiel, (2012) Ashgate. ‘Une anthropologie de la construction des climats de Bourgogne’, Les climats du vignoble de Bourgogne comme patrimoine mondial de l’humanité, Edited by Jean-Pierre Garcia, Editions Universitaires de Dijon (2011). ‘European Politics, Policies and Institutions’A companion to the Anthropology of Europe, U. Kockel, M-N Craith and J. Frykman (eds), Blackwell Publishing (2011). Do I belong: Reflections from Europe. Kreisky Forum, Pluto Press (2016). The Anthropology of Food Heritage, Universal Exhibition, Milan 2015, University of Milan Boccaccio, Fondazione Feltrinelli, commissioned report. Invited Guest for the Danish Journal Stof, Drinking Culture in the UK, translated into Danish and published in January 2007. Moi, je suis vigneron, in Vignes et Vins, ORCCA, MECSTI, Reims: 14-17. Exhibition (catalogue for an exhibition based upon my research). Research advisor for the Film ‘La Saint Vincent Tournante’ by Georges Nivoix, 1994. Demossier, M. (2007). [Response to Philip Whalen's article 'Burgundian regionalism and French Republican commercial culture at the 1937 Paris International Exposition']. Cultural Analysis, 6, 66-69. Demossier, M. (2004). Goût du vin et goûts des vins chez les britanniques au XXIe siècle. Revue des Oenologues et des Techniques Vitivinicoles et Oenologicques, 31(111), 49-51. Crenn, C., Demossier, M., & Techoueyres, I. (2004). Wine and globalisation: foreword. Anthoropology of Food, 3. Crenn, C., Demossier, M., & Techoueyres, I. (2004). Wine and globalization: foreword. Anthoropology of Food, 3. Demossier, M. (2001). Territoires, produits et identités en mutation: les Hautes-Côtes en Bourgogne viticole. Ruralia, 8, 141-158. Demossier, M. (1997). Producing tradition and managing social changes in the French vineyards: the circle of time in Burgundy. Ethnologia Europea, 27(1), 29-47. Demossier, M. (1997). Une anthropologie des écrits des vignerons en Bourgogne et Champagne. Papilles, 11, 15-30. Demossier, M. (1996). Une Anthropologie de l’ébriété et de la fête en Bourgogne. Séparer le bon vin de l’ivresse. Bulletin du Centre d’histoire économique et sociale, (3-4), 141-148. Demossier, M., & Jacobi, D. (1994). Entre recherche et esthétique : la bouteille de Bourgogne selon Georges-Henri Rivière. Revue du Centre National des Arts et Métiers CNAM, 16-24. Guenin, A-M., & Demossier, M. (1993). Le dilemme du kir. Etudes Foncières, 58, 48-54. Demossier, M. (1989). Monographie ethnologique d’un village viti-vinicole: l’exemple de Saint Aubin en Côte d’Or. Mémoires de l’Académie des Sciences, Arts et Belles Lettres de Dijon, 130, 161-165. Demossier, M. (Accepted/In press). French ethnology in development. Farnham Royal, GB: Ashgate. Demossier, M. (2011). Wine drinking culture in France: a national myth or a modern passion? (French and Francophone Studies). Cardiff, GB: University of Wales Press. Demossier, M. (Ed.) (2007). The European puzzle. The political structuring of cultural identities at a time of transition. Oxford, GB: Berghahn. Demossier, M., Blowen, S., & Picard, J. (Eds.) (2001). Recollections of France: memories, identities and heritage in contemporary France. Oxford, GB: Berghahn. Demossier, M. (2000). Hommes et Vins, une anthropologie du vignoble bourguignon. Dijon, FR: Editions Universitaires de Dijon. Demossier, M. (Accepted/In press). Burgundy’s climats and the utopian wine heritage landscape. In J. Dutton, & P. Howland (Eds. ), Making New Worlds: Wine, Terroir and Utopia Routledge. Demossier, M. (2018). Reflexive imbrications. In D. Inglis, & A-M. Almila (Eds. ), The Globalization of Wine: The Trans-Nationalization and Localization of Production, Leisure and Pleasure London, GB: University of the Arts London. Demossier, M. (2017). From the European puzzle to a puzzled Europe. In A. Lerman (Ed. ), Do I Belong? : Reflections from Europe (Pluto Press ed., Vol. Current Affairs/Politics, pp. 54-69). London: Pluto Books Limited. Demossier, M. (2015). The politics of heritage in the land of food and wine. In W. Logan, M. Nic Craith, & U. Kockel (Eds. ), A Companion to Heritage Studies (pp. 87-100). Chichester, GB: Wiley-Blackwell. Demossier, M. (2014). Sarkozy and Roma: performing securitization. In M. Maguire, C. Frois, & N. Zurawski (Eds. ), The Anthropology of Security: Perspectives from the Frontline of Policing, Counter-terrorism and Border Control (pp. 24-44). London, GB: Pluto Press. Demossier, M. (2012). European politics, policies and institutions. In U. Kockel, M. N. Craith, & J. Frykman (Eds. ), A Companion to the Anthropology of Europe (Blackwell Companions to Anthropology). Chichester, GB: Wiley-Blackwell. Demossier, M. (Accepted/In press). Une anthropologie de la construction des climats de Bourgogne: Éléments pour une réflexion sur le classement UNESCO des climats au patrimoine mondial de l’humanité. In J. P. Garcia (Ed. ), Les Climats de Bourgogne Dijon, FR: Editions Universitaires de Dijon. Demossier, M. (2010). La gouvernance des terroirs du vin: le point de vue de l'anthropologue. In J-C. Hinnewinkel (Ed. ), La Gouvernance des Terroirs du Vin: Entre local et mondial, au Nord comme au Sud (pp. 201-210). Bordeaux, FR: Editions Féret. Demossier, M. (2010). Vin. In C. Delporte, J-E. Mollier, & J-F. Sirinelli (Eds. ), Dictionnaire d'Histoire Culturelle de la France Contemporaine (pp. 842-844). (Quadrige Dicos Poche). Paris, FR: Presses Universitaires de France. Demossier, M. (2007). Introduction. In M. Demossier (Ed. ), The European Puzzle: The Political Structuring of Cultural Identities at a Time of Transition (pp. 1-12). Oxford, GB: Berghahn. Demossier, M. (2007). The political structuring of cultural identities in Europe. In M. Demossier (Ed. ), The European Puzzle: The Political Structuring of Cultural Identities at a Time of Transition (pp. 49-66). Oxford, GB: Berghahn. Demossier, M. (2006). Entre litérature et objet ethnologique, 'Nono' ou la construction du vigneron comme archétype de la culture locale. In A. Bleton-Ruget, & P. Poirrier (Eds. ), Le Temps des Sciences Humaines: Gaston Roupnel et les Années Trente (pp. 173-198). Dijon, FR: MSH Dijon Manuscrit Universite. Demossier, M. (2005). Consuming Wine in France: The 'Wandering' Drinker and the 'Vin-anomie'. In T. M. Wilson (Ed. ), Drinking Cultures: Alcohol and Identity (pp. 129-154). London, GB: Berg. Demossier, M., & Bilger-Street, H. (2005). Diamonds and videotape: political scandals and the presidents of the Fifth French Republic. In J. Garrard, & J. L. Newell (Eds. ), Scandals in Past and Contemporary Politics (pp. 151-162). Manchester, GB: Manchester University Press. Demossier, M. (2005). Political scandals and the President in the French fifth Republic. In J. Garrard, & J. Newly (Eds. ), Political scandals, Past and Present (pp. 151-162). Manchester, GB: Manchester University Press. Demossier, M. (2005). Wine. In B. Marshall (Ed. ), France and the Americas: Culture, Politics, and History (pp. 1219-1224). Santa Barbara, US: ABC-CLIO. Demossier, M. (2004). Contemporary lifestyles: the case of wine. In D. Sloan (Ed. ), Culinary Taste: Consumer Behaviour in the International Restaurant Sector (pp. 93-108). Oxford, GB: Elsevier Butterworth-Heinemann. Demossier, M. (2004). Women in rural France, mediators or agents of change. In K. Hoggart, & H. Buller (Eds. ), Women in Rural Europe (pp. 164-184). Farnham, GB: Ashgate. Demossier, M. (2001). Food for thought, culinary heritage in France. In M. Demossier, J. Picard, & S. Blowen (Eds. ), Recollections of France: Memories, Identities and Heritage in contemporary France (pp. 141-153). (Contemporary France; Vol. 4). Berghan. Demossier, M., & Milner, S. (2000). Differences: age and place related. In B. Kidd, & S. Reynolds (Eds. ), French Cultures, French Identities (pp. 69-80). London, GB: Arnold. Blowen, S., Demossier, M., & Picard, J. (2000). Introduction. In S. Blowden, M. Demossier, & J. Picard (Eds. ), Recollections of France: Memories, Identities and Heritage in Contemporary France (pp. 1-9). Oxford, GB: Berghahn. Demossier, M. (2000). Wine festival in contemporary France, reshaping power through time in Burgundy. In K. Friedrich (Ed. ), Festive Culture in Germany and Europe from the Sixteenth to the Twentieth Century (pp. 107-119). Lewiston, US: Edwin Mellen Press. Demossier, M. (2000). Women in rural France. In A. Gregory, & U. Tidd (Eds. ), Women in Contemporary France (pp. 191-211). London, GB: Berg. Demossier, M. (1998). The making of a President, political culture and collective memory in the Morvan. In M. Maclean (Ed. ), The Mitterrand Years: Legacy and Evaluation (pp. 233-245). London, GB: MacMillan Press. Demossier, M. (1994). Les passionnés du vin ou le mariage du cœur et de la raison. In C. Bromberger (Ed. ), Passions ordinaires (pp. 163-188). Paris, FR: Bayard Presses. Demossier, M. (1993). Les vins de Bourgogne. In A. Lazareff, A. Senderens, A. Weill, & M. Demossier (Eds. ), Bourgogne, Produits du terroir et recettes traditionnelles (pp. 13-25). (L'inventaire du patrimoine culinaire de la France). Paris, FR: CNAC/Editions Albin Michel. Demossier, M. (1992). De l’église à la cave le culte et la fête de la Saint Vincent en Côte d’Or. In Les Saints Protecteurs de la Vigne en Bourgogne (pp. 37-46). Beaune, FR: Archives de la ville de Beaune. Demossier, M. (1992). La fête, miroir d’une communauté: la Saint Vincent tournante de Puligny-Montrachet. In Les Saints Protecteurs de la Vigne en Bourgogne (pp. 123-140). Beaune, FR: Archives de la ville de Beaune. Demossier, M., & Portet, F. (1992). La Saint Vincent Tournante: le grand échange bourguignon. In Les Saints protecteurs de la vigne en Bourgogne (pp. 25-36). Beaune, FR: Archives de la ville de Beaune. Demossier, M. (2013). Following grands crus: global markets, transnational histories and wine. In R. Black (Ed. ), Wine and Culture: Vineyard to Glass London, GB: Berg. Demossier, M. (2012). The Europeanization of Terroir: consuming place, tradition and authenticity. In R. Friedman, & M. Thiel (Eds. ), European Identity and Culture: Narratives of Transnational Belonging (Studies in Migration and Diaspora). Farnham, GB: Ashgate. Demossier, M. (2007). Le discours oenologique contemporain: région contre nation au XXIeme siecle. In F. Hache-Bissette, & D. Saillard (Eds. ), Gastronomie et Identité Culturelle Française: Discours et Représentations, XIXe-XXIe siècles (pp. 455-469). Paris, FR: Nouveau Monde. My current undergraduate teaching focuses on aspects of twenty-first century French Politics and contemporary society and culture as well as EU Politics; I am also contributing to a First year Humanities module on ‘Introduction to ethnographic studies: Food and Culture’ as well as a postgraduate module ‘Understanding Transnational studies’. I have always believed in the virtues of ethnography as a methodological tool, the questions it enables a researcher to ask and the possibilities for qualitative and critical understanding it offers. I would therefore be delighted to work with candidates interested in using ethnography as a research method, especially in relation (but not limited) to research related to contemporary France, Europe, the EU or the UK. Working as a social anthropologist within the disciplinary field of Modern Languages and Linguistics and the particularly rich interdisciplinary environment at Southampton, I am very happy to advise and supervise postgraduate students working in a range of areas and regional contexts: wine and terroir studies, food studies, performative cultures, drinking cultures, migration, Republicanism in France, the Roma, European identity, education/schooling and multiculturalism.